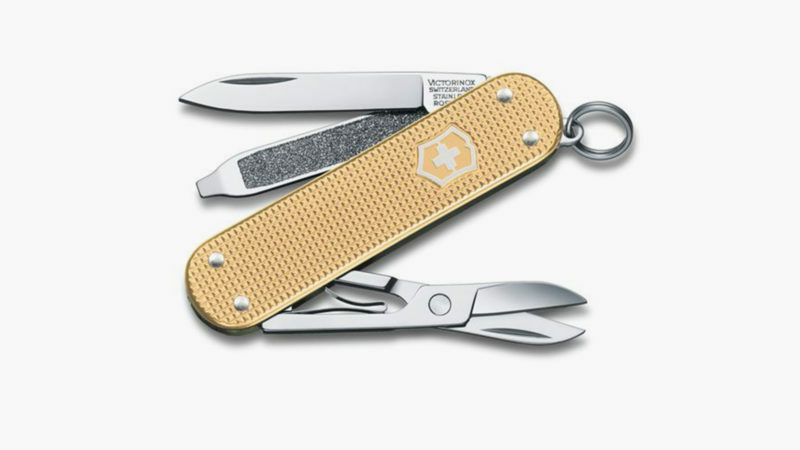 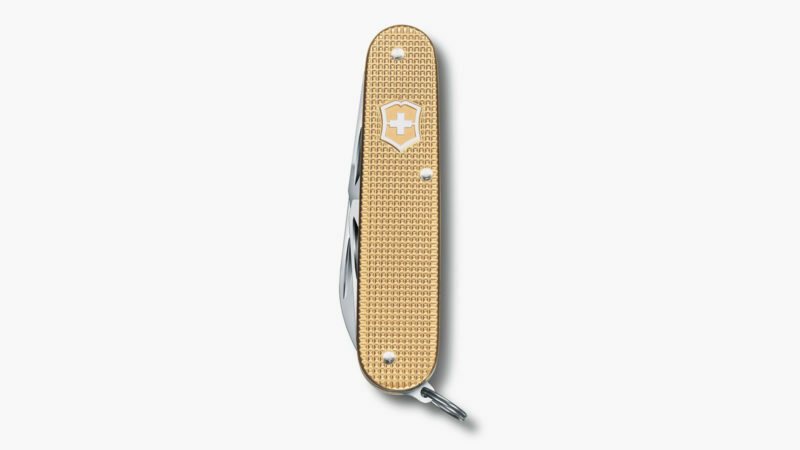 The beloved classic Swiss Army knife with beautiful champagne gold textured Alox scales and treated to withstand a lifetime of use. 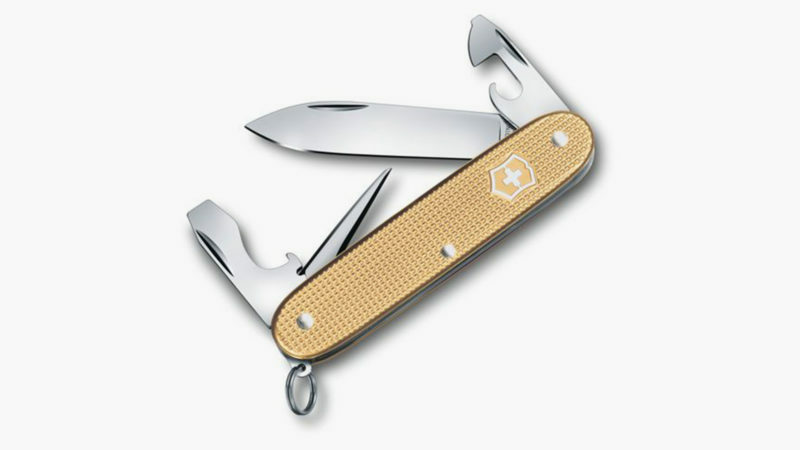 Long before it became the pocket knife of choice around the world, the Swiss Army knife was simply a multipurpose field knife that the Swiss company Victorinox began supplying to Switzerland’s national military in the late 1800s. 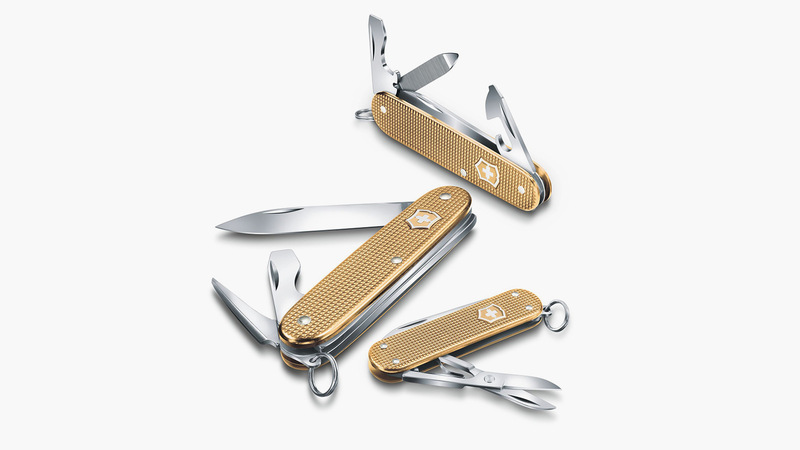 Of course, knife-making technology has come a long way in the last 130 years or so, and those in the know can now list hundreds of pocket knives and EDC tools that far exceed the basic Swiss Army knife in terms of overall quality. 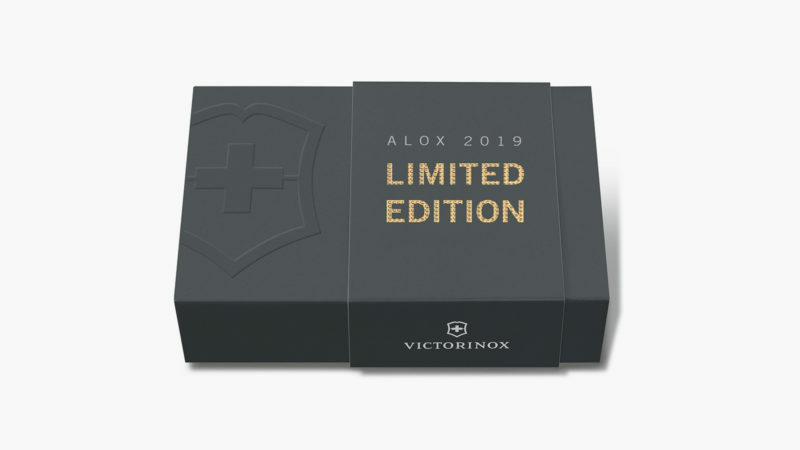 Well, Victorinox is set to shatter expectations with the new Swiss Army Knife Alox Limited Edition 2019. 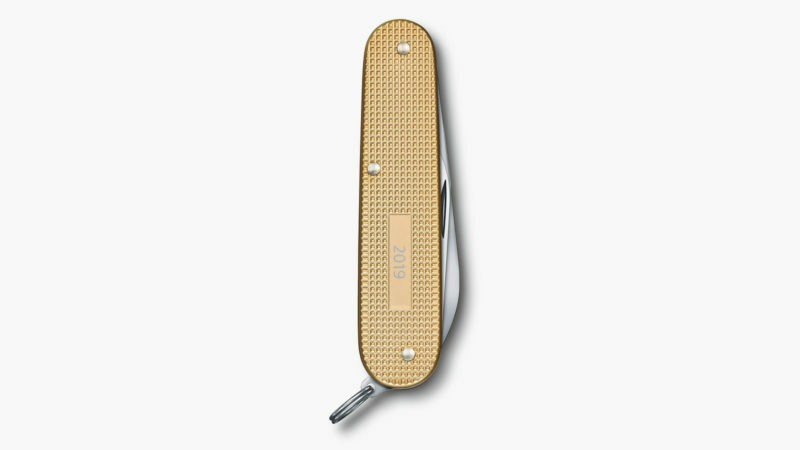 Featuring classically beautiful and grippingly textured Alox scales of champagne gold, this knife is punched from embossed aluminum and treated with a protective and anti-corrosion process called anodic oxidation. 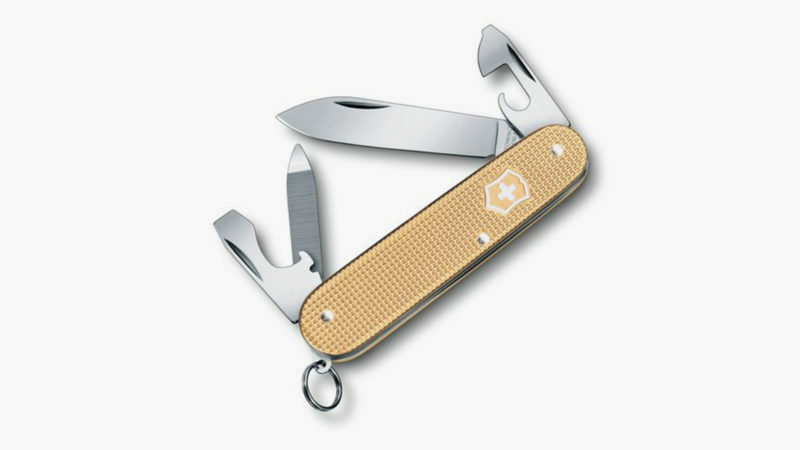 If this all sounds a bit too technical, just know that this knife is designed to withstand a lifetime of constant use.